Our expertise in designing and manufacturing specialist British-built thrusters spans decades, and we are very proud of our heritage. From their early beginnings, and first patent in 1926, the original white gill thrusters were groundbreaking in design. Major James Herbert Gill, a British Army engineer, develops a range of axial flow pumps, the first 5" units of which are adapted into jet propulsion units utilizing Major Gill's idea of a rotating thrust deflector. 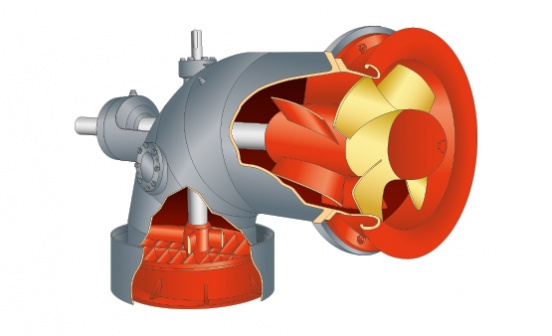 Patents are obtained in most European countries by the newly founded Gill Propeller Company, for the application this axial flow pump assembly and deflector into marine propulsion units. The first large 25" propulsion units were built under license by Vickers Armstrong Engineers, UK for a small car ferry in Fredriksstad, Norway. The units continued to operate continuously until 1972, when the ferry was finally scrapped and replaced by a bridge. From this year onward, large numbers of small jet units, from 5" up to 20" diameter, are supplied to many areas of the world, for applications such as small river ferries in Africa and Far East, tug and barge units in Central and South America and river barges in the U.K. and Europe. The Gill Pump and Propulsion Company is formed to continue sales of the Gill Pump Jet, with manufacture being undertaken under license by the Rowhedge Iron Works in U.K.
Special 27 1/2" units are built to power float barges used for carrying battle tanks for the British Army in Germany. The last of these float barges is retired in 1986. The rights to manufacture and sell the Gill Thruster are bought by J. Samuel White and Company, a major naval shipyard in Cowes, Isle of Wight, U.K. Following an extensive development programme, the first, classification society approved, seagoing unit 24/11 White Gill thruster was fitted in "TOPMAST 20" salvage vessel. A sister ship "TOPMAST 16" is fitted with a smaller 20/I unit. In 1989, this vessel is scrapped, but after reconditioning, is refitted into a Greek trawler. Cable & Wireless fit their first White Gill thruster 40VST in cable ship "RECORDER"
U.K. Government Agency, the Natural Environment Research Council, fit their first White Gill thruster 32VST in their research vessel "CHALLENGER". The Elliott Company, of Jeannette, Penn. U.S.A., purchase J. Samuel White shipyard, as a facility for the manufacture of large compressors and turbines for the North Sea. Elliott take advantage of a major building program for North Sea oil supply vessels, over an 5 year period supplying more than 80% of all 360° bow thrusters fitted to such vessels. In one year, 1973, at the height of the building boom, Elliott supply 38 thruster units, 19 units of type 40/I and 40 VST for North Sea supply vessels alone. In a reversion to the original application, Elliott White Gill supply two 20" pump units for flood relief and land drainage at World's End Pumping Station in U.K. Operating automatically for 2 hours in every 12 hour tidal period, units were overhauled in 1982 and 1993, the units remain in continuous daily operation (11/95). Elliott design and patent the White Gill vertical shaft T3 thruster, with the first 3 units sold to a oilfield diving support vessel, before even detail design work had been completed. Elliott White Gill establish a U.S. sales office and additional manufacturing facility in Springfield, Ohio. 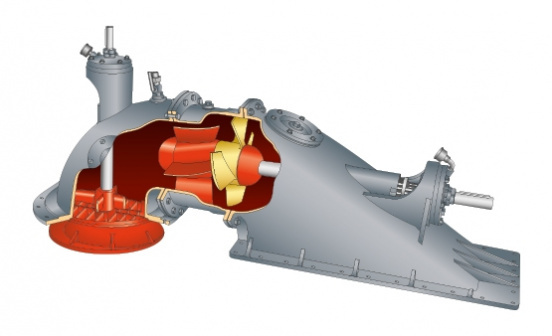 Elliott design and patent a lightweight fabricated cross shaft thruster unit type CS, intended for retrofit projects as an easy to fit unit, with the first units being sold into the North Sea for conversion of fishing vessels into oil rig safety vessels. Elliott close the Cowes manufacturing facility but White Gill operation continues from a new Isle of Wight location, with sub assembly and final assembly under sub-contract to Husbands Shipyard, Southampton. Tees Components, an established engineering firm in the North East of England, begins manufacturing thruster components as principle heavy machinist to Elliott. The largest unit built in the Springfield facility, a 60T3, is delivered to the State of Alaska Marine Highway for the car ferry "Columbia". Production is halted in the U.S. and responsibility for total world sales and manufacturing reverts to the U.K. sales operation in Basingstoke. The U.S Navy orders an uprated 50T3S for the first of a new class of AGOR research vessels built at Halter Marine, Moss Point. At present time (11/95), Elliott has supplied further 3 units for additional vessels in class, including vessel for operation by NOAA. U.K. Government Agency, the Natural Environment Research Council, fit Elliott White Gill bow and stem thrusters 50T3S and 40/I in their new Antarctic logistics 1 research vessel "JAMES CLARK ROSS", bringing to total of 8 thrusters fitted in their fleet of vessels since 1970. The U.K. Government Agency, Northern Lighthouse Board, order a new lighthouse tender with a Elliott White Gill bow thruster 40T3S, to replace an existing 30 year old vessel, also fitted with a White Gill unit. 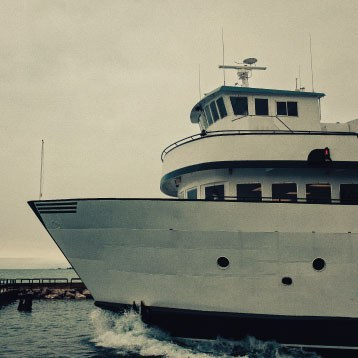 The replaced vessel is sold to Windjammer Cruises in the U.S.A. and continues in service as a specialty cruise vessel / supply vessel for their West Indies operations. Elliott receives order for 3 of their largest 70 T3S bow thruster units, for fitting into new cable ships under construction in Finland for Cable & Wireless Marine and their associate company in Singapore. 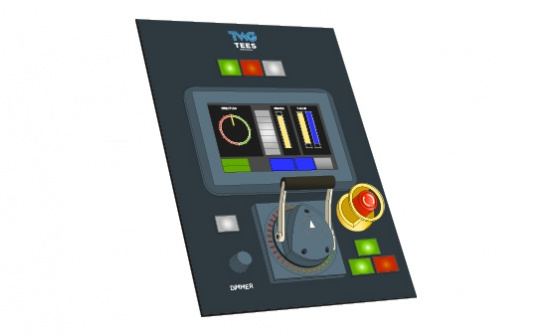 This order brings to 22 total number of units supplied to Cable & Wireless since 1969, with one or more units fitted on every vessel they have built since 1976. Husbands shipyard closes and complete production and assembly of thrusters is transferred to Tees Components, an established engineering firm based in the North East of England. Modifications made to 50T3S unit onboard RV Roger Revelle to reduce noise including a new quiet rotor developed by Dr Neal Brown. First T3S- QR “Quiet Rotor” unit sold to NOAA for install in the first of their Fisheries Research Vessels. Four more FRVs follow up to 2011 with many other research vessels also opting for the QR version. Elliott transfer ownership of White Gill Thruster product line to Tees Components. Tees Components relocate, recruit, and train an engineering team to support existing installations. First order for Tees White Gill for two 32HJP units for installation in Island Home, a double ended ferry for Woods Hole Steamship Authority. Tees receive order for four 60T3S QR thrusters to be installed onboard NERCs Polar Research Vessel, Sir David Attenborough. This is the largest number of units ever installed on one vessel. This order brings a total of 13 thrusters fitted in NERCs fleet of vessels since 1970. Taking over the business in 2005, after over 20 years as subcontractors, we have built on our excellent international reputation, evolving and adapting to establish Tees White Gill’s 360° pump jet thrusters at the forefront of design and application. When you choose a Tees White Gill thruster, you are choosing decades of globally approved, quality British craftsmanship, expert design features and peace of mind. Maximum manoeuvrability in any direction – with positive thrust available through 360°, independent of ship speed. Freedom from underwater hazards and grounding due to flush mounted, totally enclosed design. 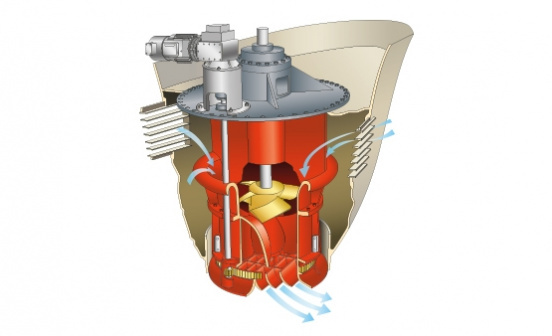 No risk of marine pollution – our thrusters have no critical oil seals. Versatile design - able to fit any installation requirements and applications, including all types of ocean going and coastal vessels, harbour crafts and river boats. Long life and trouble free operation due to simple, rugged construction – also ensuring reduced, long term running costs. Comprehensive, global spares and servicing department, with our own team of highly skilled electrical and mechanical engineers available for deployment worldwide for routine maintenance, spares and emergency repairs. Reduced noise – quiet running designs available, perfectly suited to research vessels.